Buckle up your seatbelt and prepare for a thrilling tour of Florida’s crime-ridden underbelly in this collection of the first three Serge Storms Adventures. 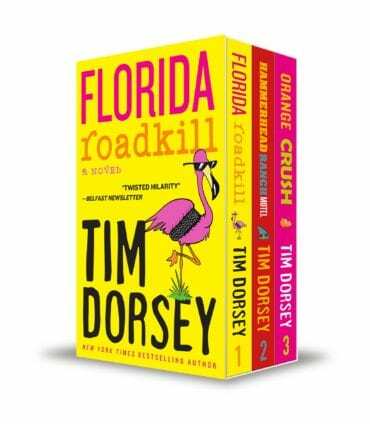 Florida Roadkill Local trivia buff Serge Storms loves eliminating jerks and pests. His drug-addled partner Coleman loves cartoons. Hot stripper Sharon Rhodes loves cocaine, and they all want a suitcase full of stolen insurance money. Hammerhead Ranch Motel Local historian and spree killer Serge Storms – who has stopped keeping up with his meds – is still looking for a briefcase stuffed with five million dollars… and is now capable of wreaking more havoc than the hurricane gathering force offshore, just waiting for the opportunity to blow everything straight to hell.